Taylor Emmons began her softball career at the age of 8 and still plays today. She played at Northampton Athletic Association through their developmental and competitive leagues. After graduating she stepped away from the game but quickly realized how much she missed it. Within a year, Taylor joined a women’s softball league. Taylor says her favorite thing about coaching is the kids. “I love seeing the kids work hard to reach their goals and the happiness they feel when they do reach them”. Taylor is also the pitching coach for Freedom High School. 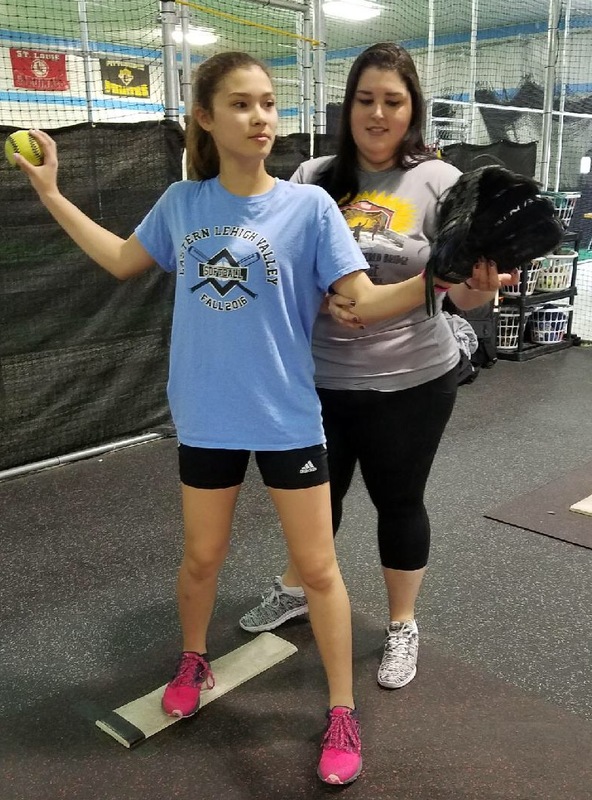 This is what Taylor has to say about Tincher Pitching: “I became interested in Tincher Pitching when Alex MacLean invited me to watch a few of her lessons. I was surprised to see that the methods were a bit different than what I learned when I played. The best part was that there were answers to the “how’s” and “whys” of the program. I love getting to work with the other instructors; everyone brings something to the table and we help each other learn. Even though I have been playing for years, there’s always something more that both the instructors and the kids can teach me. Every day is a new adventure and I can finally say “I love my job”.